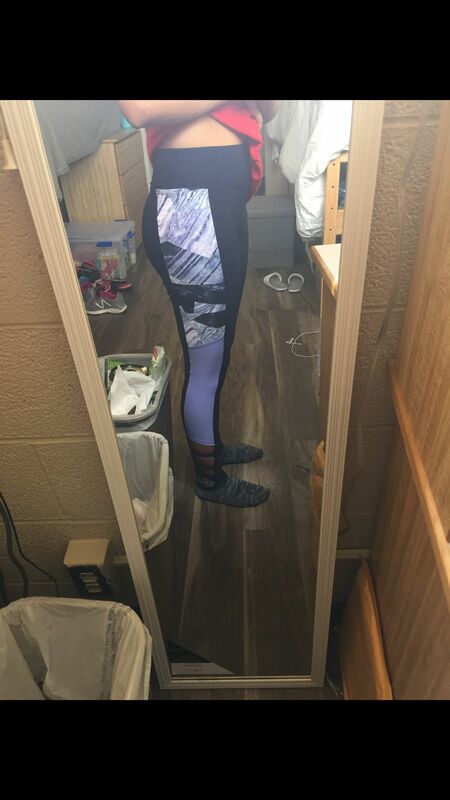 Gym leggings were very cute, although not the most comfortable pair of leggings I own. Still, they are not see through and are cute and will definitely wear them on a regular basis. Also, they do not show sweat marks when you are sweaty. True to size and just the right amount of thickness. Good purchase especially for price. Kimberly L. Reviewed by Kimberly L.
I purchased two pair for my daughter.. she loves them. Debbie A. Reviewed by Debbie A. My daughter was really happy with these! Said they are great for her morning weight and yoga classes at college. They don't keep falling down as many yoga pants do! Dawn Marie B. Reviewed by Dawn Marie B.